Therefore to alleviate your fear of English Descriptive Exam, we have come up with The Important 70+ Expected Essay Topics with “Descriptive Book for Banking & Insurance Exams Vol.1- Essay writing” in PDF format, which can be asked in the SBI PO, IBPS PO, PGDBF Descriptive Exam 2018. Descriptive Book Vol-II on Letter writing for Descriptive Exam is already published. • 3 Reasons Why Descriptive Paper is Easier than you Think! • Essay Writing Topics Asked in recent exams i.e. Syndicate Bank PO 2018, SBI /IBPS PO 2017. ******Please don&apos;t share this PDF and password to anyone. 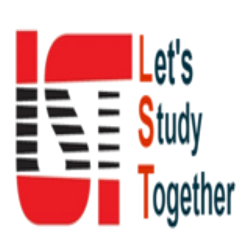 Dear Students this PDF Proprietary & Copyrighted Material of Let’s Study Together (LST) . By printing this file I undertake that this file is for my personal use and any reproduction in any form, physical or electronic mode on public forum etc. will lead to infringement of Copyright of Let’s Study Together (LST) and will attract penal actions including FIR and claim of damages under Indian Copyright Act 1957.